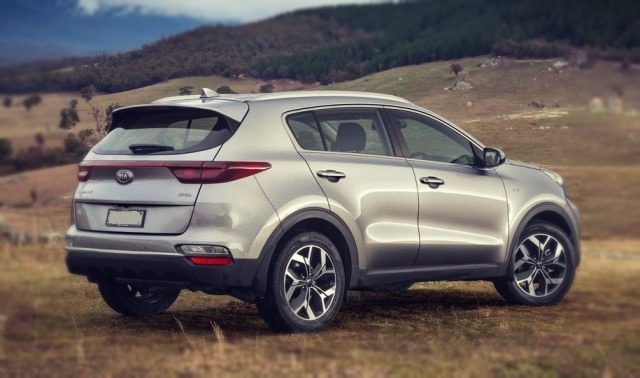 The upcoming model 2019 Kia Sportage is the compact-crossover SUV that provides very sporty looks, great engine options with powerful turbocharged variant and latest high-tech features. However, in this year model trim like LX losses some features with Technology Package, but some other ones get more staff and better safety. The newest model is reasonably priced and it offers comfortable seating for five adults and decent cargo space. The exterior of the 2019 Kia Sportage is clean and crisp. The Sportage model possesses very well known tiger nose grill that looks much better on the new version of SUV. Furthermore, if one chooses the SX turbo model it will get many modifications. This model looks way better with a dual exhausts system and cool LED fog lights. Also, there is an option to upgrade to the AWD system and get more ride height with great stability. Dimensionally this SUV keeps the same numbers as the previous one. It comes with the wheelbase that measures 105.1 inches, length that stretch 176,4 inches, width 73 inches, and height of 64,4 inches. 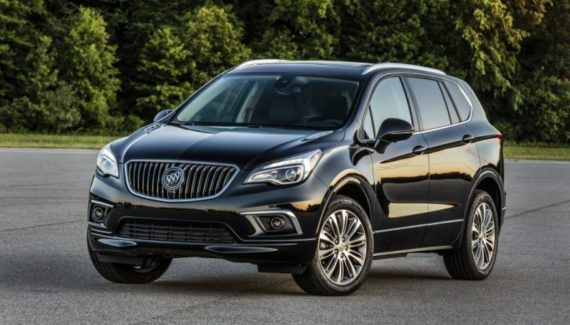 This luxury model will also get a panoramic sunroof and a power liftgate. There are also many improvements when it comes to the steering. The control is now more natural and smoother. 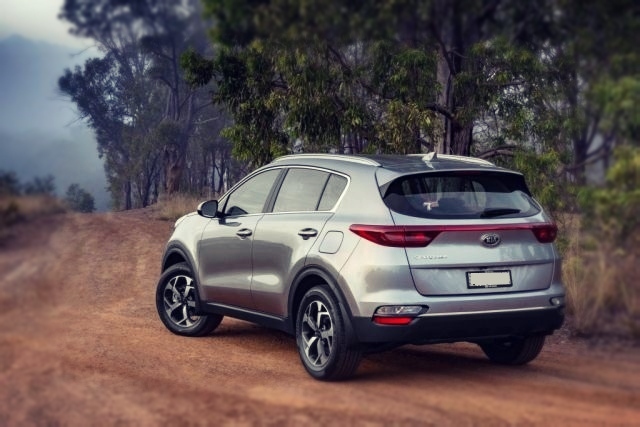 The 2019 Kia Sportage is the SUV that looks great from the exterior to the interior. It offers comfortable seats made to give maximum comfort on a long trip. Also, the rear seat features plenty of space for all passengers and cargo space is pretty good with 30.7 feet. However, the models like Honda CR-V or Subaru Forester gives better cargo space. 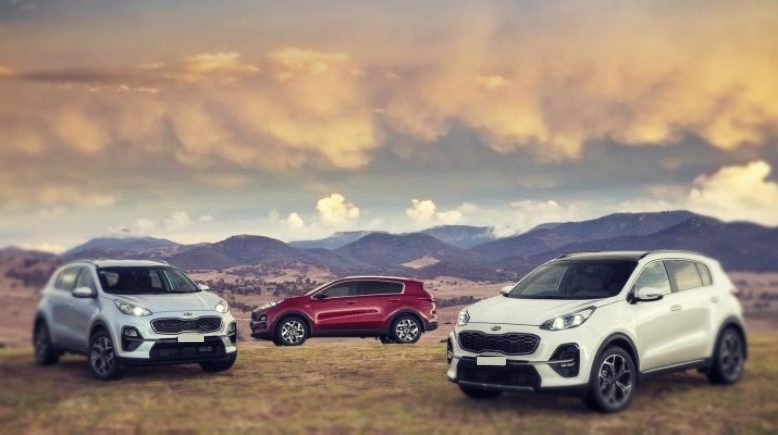 As we already said at the beginning, the forthcoming model 2019 Kia Sportage will be offered in three trims LX, EX, and SX turbo. 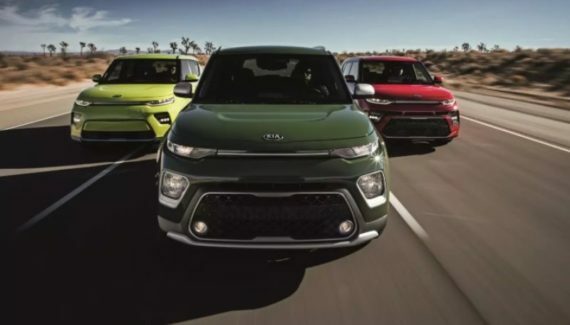 The first one LX trim that is also the base one gets many features that will make this SUV very techy like 5-inch touch-screen display, rearview camera, AM/FM/CD player, plenty of USB input and Bluetooth wireless connectivity. Also, this package will come with a powerful system with 6-speakers. The next one trim that is the mid-level EX will get more new features. It is equipment with bigger and advanced 7-inch touch-screen infotainment system compatible with Apple CarPlay and Android Auto, dual zone climate control, power-folding outside mirrors and for safety features like blind-spot detection, cross-traffic alert are included. The last one SX turbo is the most equipment trim. This trim includes leather seats that are heated and ventilated (only front seats) and there is also a heated steering wheel, 8-inch touchscreen, powerful Harman/Kardon 320 watt sound system. Furthermore, for the safety, it gets autonomous emergency braking with a lane-departure warning system. 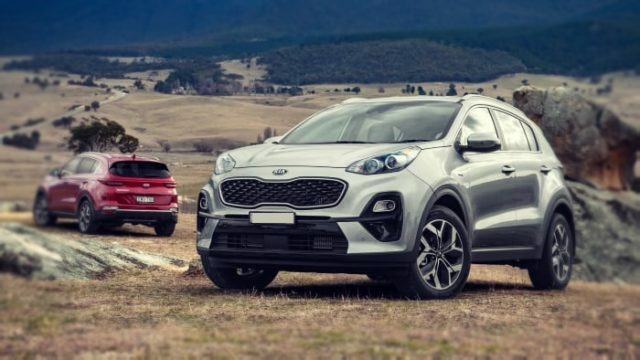 The newest SUV 2019 Kia Sportage will come with two engine options. The first one engine on the list is also the standard one 2.4-liter inline-4 that is able to produce around 181 HP and 175 lb-ft of torque. This engine is not good if we look at the fuel economy numbers. It provides EPA city/highway fuel economy of 23/30 mpg for the model with FWD and LX, while FWD, EX gives 22/29 mpg. However, the model with the AWD system provides 21/25 mpg. The next one engine that is optional 2.0-liter turbocharged inline-4 delivers 240 horsepower at 6,000 rpm. The torque of this model is 260 lb-ft. However, a model with the AWD system offers little less horsepower 237. In the fuel economy section, this engine gets little better results. The EPA city/highway fuel economy is 21/26 mpg with the FWD system and 20/23 mpg with the AWD. Both engines will be available with a 6-speed automatic transmission and there are no other options. Furthermore, we must mention that the front wheel drive system is standard and all-wheel drive comes as optional. Fuel tank capacity of this SUV is 16.4 gallons that are enough for cruising range in the city of 344 miles. However, on the highway cruising range is 410 miles. As for the acceleration, this SUV is able to run from 0 to 60 mph in 6,7 sec with the top speed of 135 mph. Like the many SUVs in this segment, the new 2019 Kia Sportage comes with a decent towing capacity of 2000 pounds with the model with trailer brakes or 1650 pounds without trailer brakes. However, this year model will see many techs that will provide towing easier than ever. Models like Honda CR-V, Toyota RAV4 and Subaru Forester gives simular trailering. The newest 2019 Kia Sportage gets three trim levels. The base one LX with front-wheel system comes with the Manufacturer’s Suggested Retail Price (MSRP) of little less than $25,000. However, the next one trim EX with additional features cost around $28,000. The most priced trim SX turbo cost little over $35,000. The AWD system cost an additional $1,500 on all trims. With the price above, the 2019 Kia Sportage is in range with models Honda CR-V, Nissan Rogue and Toyota RAV4. This model will debut sometime in 2019.